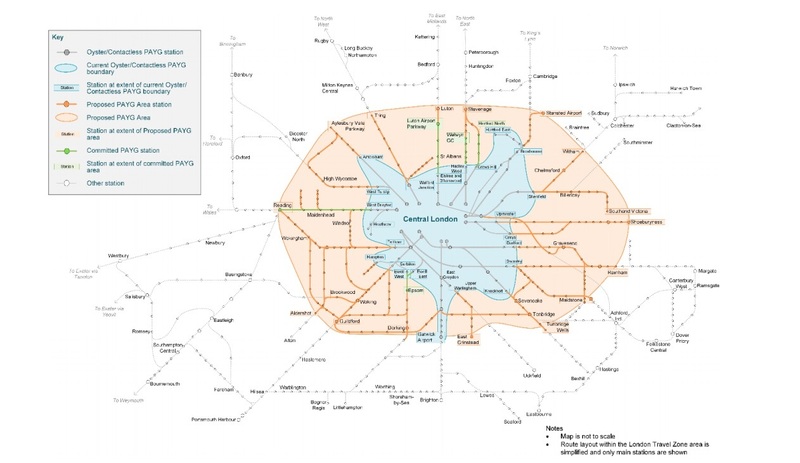 The Department for Transport has launched a public consultation about extending the pay-as-you-go travel zone around London. Take a look at the above map to see all the new stations that could be included, as far afield as Stevenage, Tunbridge Wells, Guildford and Stansted Airport. Pay-as-you-go means just turning up to a station and tapping in with a contactless bank card (or other card — we'll get to that). So no more queueing for so long to buy a ticket that you miss your train. And no more time spent calculating exactly which ticket to get — the technology does it all for you. Does this include Oyster Cards? We have not at this stage decided which technology would be most suitable. This may involve, for example, transport smartcards, contactless bank cards and / or the Oyster card. While we discuss technology in this consultation, we have chosen to focus on the benefits to the passenger. So there is some hope for the Oyster Card reaching further out of London. 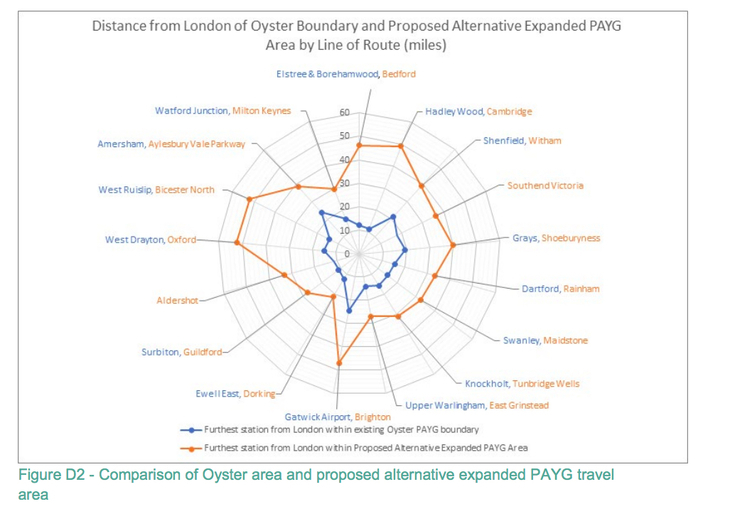 Even if you exclude the Oyster Card from the equation, these proposals look set to help a lot of people. 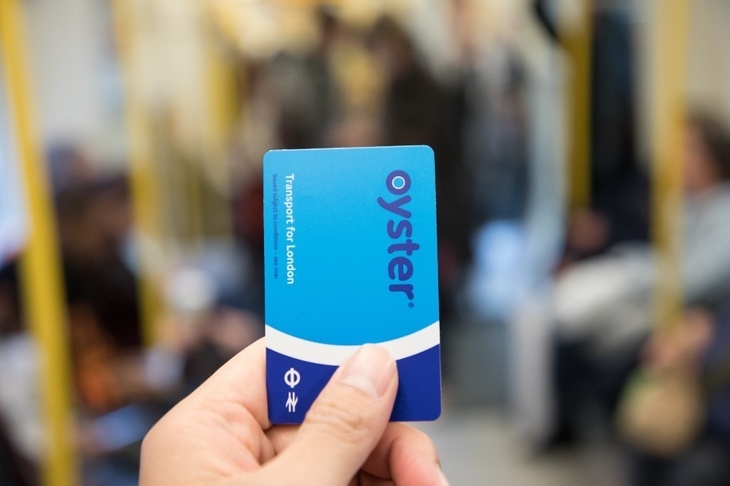 More than half of all pay-as-you-go journeys made in London now use a contactless bank card or mobile device. The week ending 15 December 2018 saw a record 22.6 million journeys made using contactless. If these proposals go through, people could travel seamlessly between all rail services and TfL services in the proposed area. Could the zone stretch even further? Many people who commute daily into London still live further out than this potential new zone. There is a glimmer of hope for those commuters too, as the consultation document talks about the possibility of an even larger zone. Take a look at how far it could stretch on the above map. What do the people in charge say? We have already invested £80 million in smart ticketing nationally and this has helped to speed up smartcard roll-out so that smart tickets are available across almost all the network. Pay-as-you-go has helped revolutionise travel on tube, rail and bus services across London, making them more convenient for all. We welcome this consultation into extending pay as you go across the rail network that surrounds London and continue to work with the DfT, South Western Railway and GTR to expand pay as you go to cover services to Epsom and Hertford North from early 2019. Dependent on the results from the consultation, the Department for Transport want to start extending the smart ticketing zone by 2020. You can have your say and respond to the consultation here. It's open until 1 May 2019.